Hiya! First of all, we want to thank everyone that came out to Essay Fiesta last night. It was a wonderful show, and it wouldn’t have been half as wonderful without all of you. 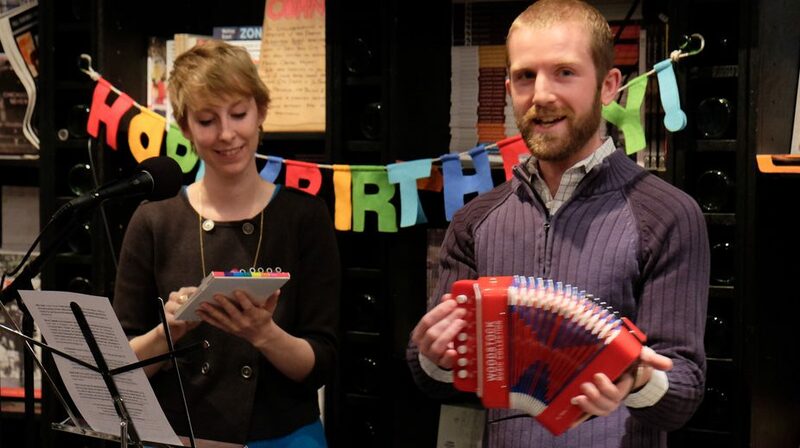 Also, thanks to all our readers and the Book Cellar because without you, there’d be no show. Many of last night’s essays dealt with celebrities. 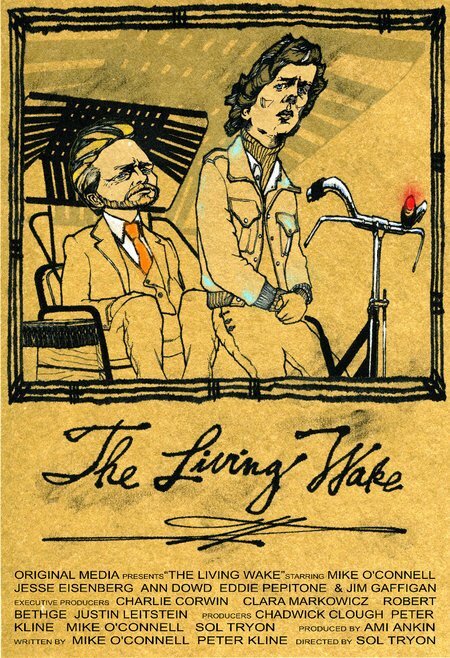 If you want to see a real celebrity in the making, go see the film The Living Wake. Written, starring and composed by the young, brilliant, hysterical Chicago native (and two-time Essay Fiesta alum) Mike O’Connell, The Living Wake will inspire, sadden, enlighten and crack you up! The dark comedy features Mike as K. Roth Binew, a man, who due to a grave vague disease, is set to die today. He runs his errands to complete the course of his life with his loyal biographer (played by Jesse Eisenberg), inviting people along the way to his living wake. The Living Wake is playing at Facets through Thurs. July 22. See this movie and celebrate life (and Mike O’Connell).